2018 AI Legal Awards winners revealed! Congratulations to our local heroes Michael, Lorenzo and Bertrand who finished the Patrouille des Glaciers 2018 edition (Zermatt-Verbier) in 11 hours, 04 minutes and 45 seconds (final rank 39). “From our first moments of training to the euphoria of crossing the finish line in Verbier, our journey was memorable in many ways. The strength of a team truly relies on its members. ” said Lorenzo CROCE after the race. Congratulations for the fantastic performance guys! Hard work, dedication and teamwork are key to success. An organization’s success is fulfilled by the support of all team members not only by the boss or individuals because it takes a combined effort to meet the goal and reach the top. No obstacles can stop the effort of a well combined team. You have taken a meaningful step towards gaining powerful new tools and abilities that will make our law firm even more effective and productive. Thank you! The Patrouille des glaciers is a ski mountaineering race taking place in the Swiss Alps every two years at the end of April. It is organized by the Swiss Armed Forces in which military and civilians participate in teams of 3 members. The race leads from Zermatt to Verbier which is 53 km (equivalent to 110 km on a flat road) or from Arolla to Verbier (26 km/53 km). 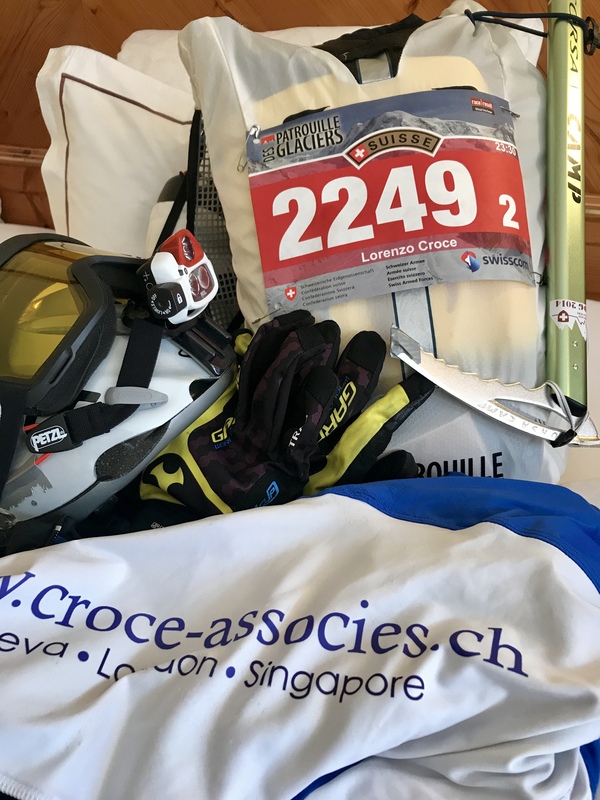 The Patrouille des Glaciers is known as the world’s toughest ski tour race, participants spend months preparing for it and need enormous stamina, motivation and discipline.